Palak, a working woman and mother of 2 children has a very hectic lifestyle managing her personal and professional lives. Her meal timings are irregular as she is busy throughout the day. Also, she eats readily available unhealthy food to fight her hunger pangs. This started taking a toll on her as she gained weight readily. Enter Zoe’s One Month Detox and all these problems were a thing of the past. 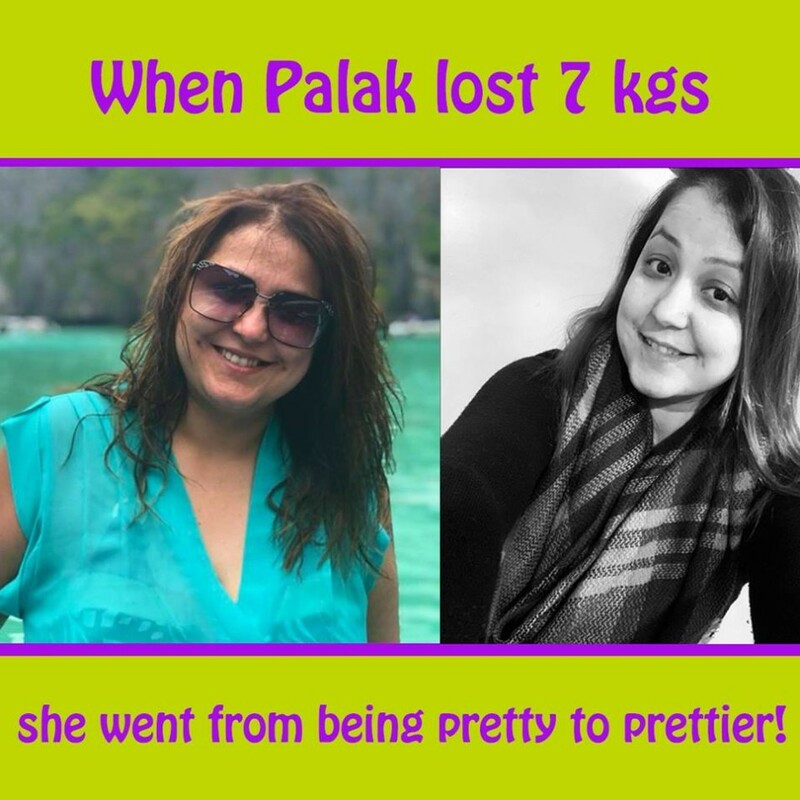 Palak has found an effective way to lose belly fat and she has gone from being pretty to prettier. “I had always wanted to continue working even after getting married and I was really lucky to find a husband supportive of this idea. It wasn’t easy though, managing my business as well as looking after my children. As the work load increased, I started spending lesser time on my own health and well being. Due to paucity of time, I had to resort to eating unhealthy street food and incomplete meals on a regular basis. I gained weight drastically and didn’t know what to do about it. It was then that I came across Zoe and ordered their One Month Detox. I was really surprised at the results as I had lost 7 kgs in a month. The best part about their detox is that it is very easy to use and you don’t need a lot of time to prepare them. I recommend Zoe to everyone who want to lose belly fat. What did Palak order ? Palak went for our One Month Detox plan and followed the diet chart given by us religiously. Just like Palak was able to lose with the help of a little bit of dedication and commitment, you will also be able to do it. Call us on 9205534967 to know more or visit our website to place your order and begin your weight loss journey.